could you be the next marc jacobs beauty social media sensation? 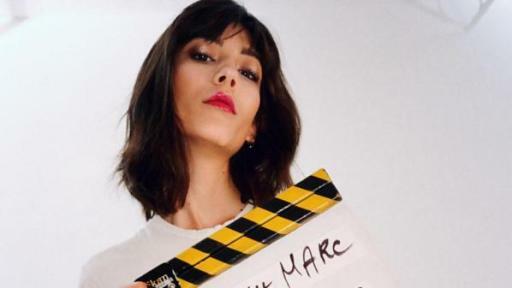 #castmemarc is back and this time it’s all about beauty. post a video on instagram telling marc what inspires you in beauty and fashion, and why he should pick you. make sure to tag @marcbeauty #castmemarc in order to be considered. this isn’t about airbrushed perfection – marc has always been known to find beauty in authenticity and imperfection. #castmemarc is open to all people 18+ in all countries, and videos will now be accepted through friday, december 16th (11:59 PM PST). in january 2017, ten finalists will be flown to new york city to record a makeup application video for marc and his judging panel, with marc jacobs himself selecting the final three artists that will be a part of the #beautymarc video series. “marc jacobs beauty encourages pushing boundaries and creating your own style, and we’re thrilled to see how our incredible fans share their artistry and inspiration on a global platform,” said catherine gore, vice president and global general manager for kendo beauty group. in addition to a starring role in marc jacobs beauty’s #beautymarc “how-to” video series with special guest stars, the chosen artists will each receive a year’s supply of marc jacobs beauty products, invitations to all marc jacobs beauty influencer events throughout 2017 and a marc jacobs wardrobe and accessories allowance. san francisco-based kendo (part of the lvmh group, the world’s leading luxury products group) focuses on the development of global beauty brands. through original concepts, collaborations and acquisitions, kendo brings to market fresh, relevant and innovative brands. the kendo team blends product development, marketing and operations expertise to redefine the beauty landscape with brands like marc jacobs beauty, kat von d beauty and formula x. today, brands within the kendo portfolio are distributed in 24 countries.